It is too hot this summer to be in the kitchen; so we all packed up and went to a local park for a really fun outing. We barbecued chicken and grilled corn and played on the swings. 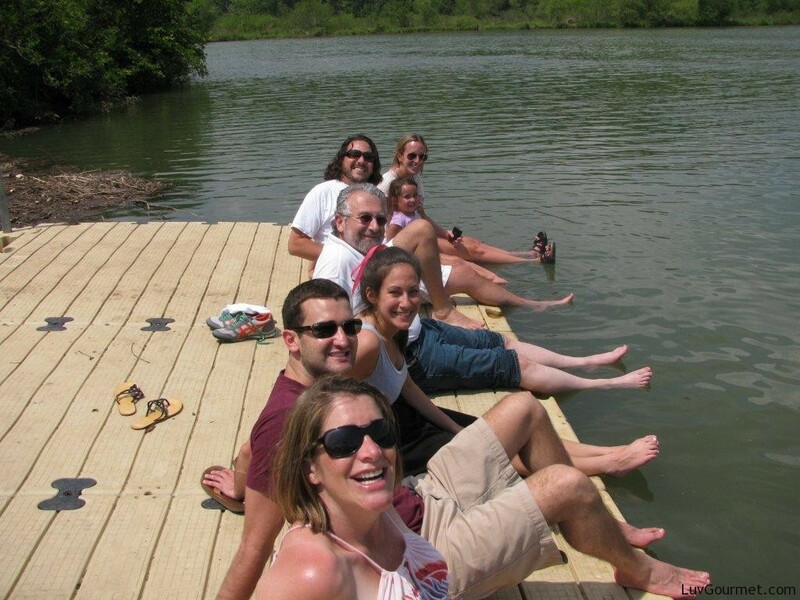 Some played volleyball and others just dangled their feet in the lake. We brought strawberry daiquiris and soda for the kids and it was truly a lazy, fun and memorable day. Family having fun being together! 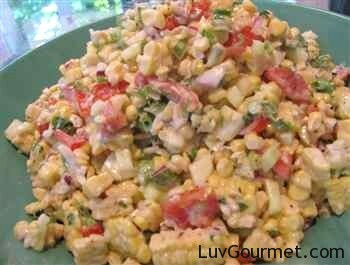 I had recently made this easy corn salad and knew it would be perfect for our barbecue; so I made the dressing at home and chopped the other ingredients needed. All that was left was to grill the corn on the park’s barbecue pit. This delicious side accompanied some really tasty chicken, followed by cupcakes and a big juicy cold watermelon. What more can anyone ask for? What a perfect day surrounded by family when everybody is happy! 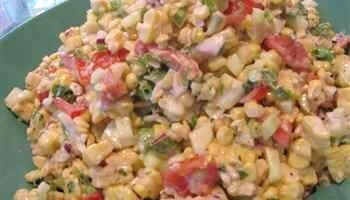 Combine corn, cucumbers, onions, tomatoes and scallions in salad bowl. In a separate bowl, blend sour cream with salt, pepper, vinegar, oil and chopped cilantro. Add sour cream mixture to corn and toss gently to coat. Chill and serve in large bowl, family style.